Coloured the cover of Emil Landman's album is, but nice? No, it's not. The patchwork of a quilt, modern art or the drawing of a five year old in kindergarden. It's all possible. As it is about the music, I'll skip further comments on the cover. Listening to Emil Landman I can't escape the feeling that NL has its own Shane Alexander. In mood and quality. Landman is a soft voiced troubadour sharing his thoughts and feelings in a soft, non-outspoken, but oh so beautiful way. 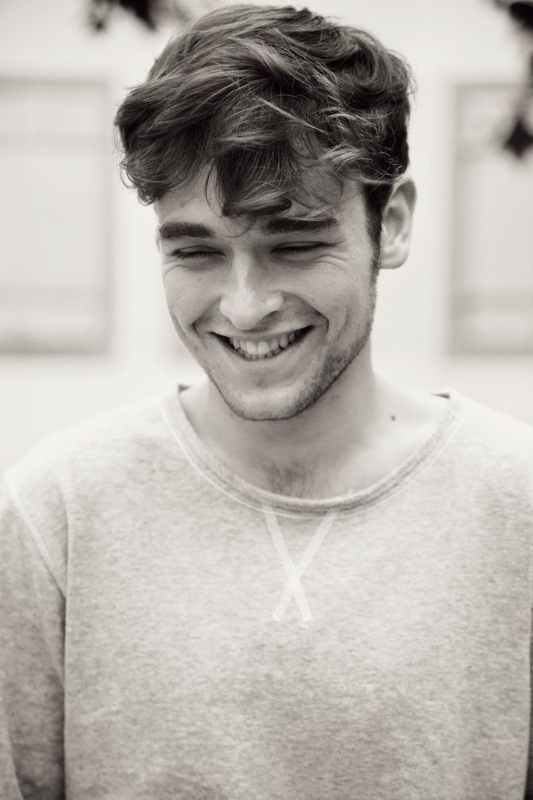 Emil Landman is 24 and travels extensively. The travel stories find their way to his albums. It all started with his DYI album 'A bargain between beggars' and now his first major release Colours and their things. Shane Alexander is the standard here. Landman's voice is deeper, but all things spell the way the Los Angeles singer-songwriter makes, plays and sings his music. 'For your review' could even be on one of Alexander's albums and no one would notice the difference. Combined with the songs Landman presents me with makes for a pleasant listening experience. Of course that isn't the whole story. Otherwise I would never have started this review. Colours and their things offers enough on its own to allow to put in time and effort. Emil Landman is not afraid to throw in a little Ry Cooder, 'Paris, Texas' style in the instrumental opener 'North on California'. The guitar sound is crystal clear, like a clear desert morning. So laidback, yet so delicate. In the second song some songs on Patrick Joseph's 'Moonking' come to mind and in a pleasantly surprising way, I might add. By then, only the second song or first "real" song into the album, it's clear to me that Emil Landman is bound to surprise me more often. He does not want to be stuck in one hole only. Colours and their things is a singer-songwriter album, where the singer is enveloped by so much more that just his guitar. In the band setting Emil Landman starts to excel. His slightly hoarse voice can go into a Chris Martin direction, yes there's some Coldplay in here as well, and into the two already mentioned singers. However, Landman is always is master over his songs. The songs are there to underscore his singing, not the other way around. The bio coming with the album tells of roadtrips through the U.S. that inspired Landman while writing for his album. In as far as Landman brings us music with a U.S. flavour I can perfectly understand the bio. For the rest it is sort of useless information. It starts with the songs and ends with the songs and more specifically with their quality. At this point I have to owe up that there isn't a single original song on Colours and their things. It has all been done before. The fact is that at this point in time I don't care as, Emil Landman's voice is extremely pleasant to listen to and his songs are certainly above average. Every single one makes that mark and that is something not a lot of artist can say for themselves. On the other hand there isn't a single nine or ten on the album either. To write in soccer terms, the player which scores a 7 each match is the soccer player of the year, so there you go Emil. 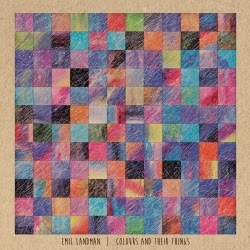 Colours and their things is not officially Emil Landman's debut album, but his first with a major company and it shows. I couldn't find who the musicians on the album are, but they've done a very adequate job. Emil layed down the ball on the dot and only had to do one thing. And he did, score. An intriguing and fine album this is.